Tegra 2 tablet heading for June release? 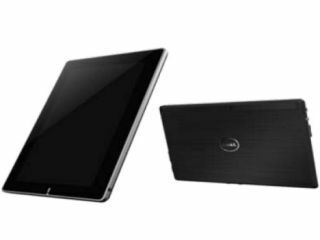 Dell is about ready to bust out a 10-inch Honeycomb tablet, according to detailed specs and photos of the Dell Streak Pro which have emerged online. Although Dell has already announced that it will launch a 10-inch Windows 7 tablet, there's been no official word on an Android-running version as yet. But the mooted Dell Streak Pro is said to be running Honeycomb – although whether that will be Android 3.0 or 3.1 is unclear – on a 1GHz dual-core Tegra 2 T20 processor from Nvidia. According to the anonymous sources, the 10.1-inch screen will offer 1280 x 800 resolution, and the slate should weigh in at 720g altogether. With 1GB of memory on board, the slate will come in 16GB, 32GB and 64GB editions, and will offer Wi-Fi and Bluetooth 2.1 connectivity. Of course, a tablet's not a tablet without at least one camera these days – the Dell Streak Pro will come with two; 5MP on the back, 2MP for low-cal video calling on the front. That's not all though; there's set to be a whole suite of specialist accessories, including the hideously named 'productivity dock' which offers a keyboard and built-in cover, a media dock and an in-car charger. The rumoured Dell Streak Pro UK release date is set for June, but given the delays to the original 5-inch Dell Streak, we wouldn't be surprised if we have to wait a little bit longer than that.